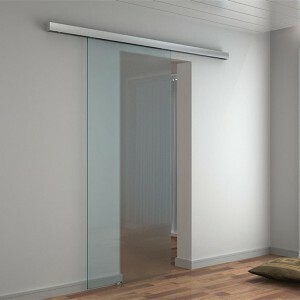 Frameless glass design，aluminium hardware finish, specially designed rollers make the door closing smooth and effortless. The flat track makes the whole design more concise and beautiful. 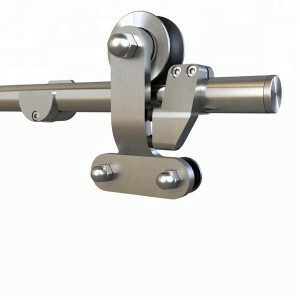 The heavy duty sliding door track hardware is made by brushed aluminium alloy. It is the newest style which is simple and beautiful. 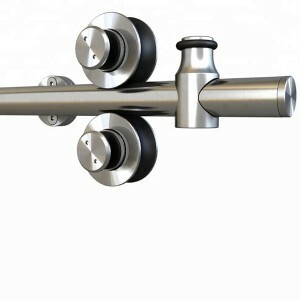 This frameless shower door hardware is the classic flat track style. 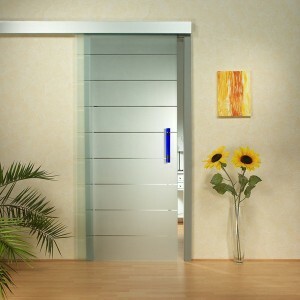 It’s soft closer will make the whole open and close operation quiet and safe. 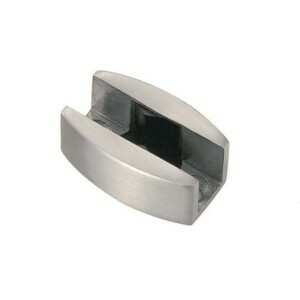 Flat track design ,reversible for “right” or “left” door opening installation. 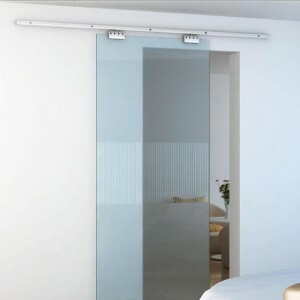 Clear tempered safety glass with the high-quality aluminium track system makes your room bright and designed. 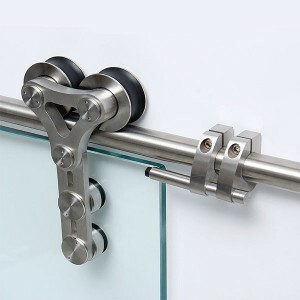 This heavy duty sliding door hardware is the newest style of glass hardware. 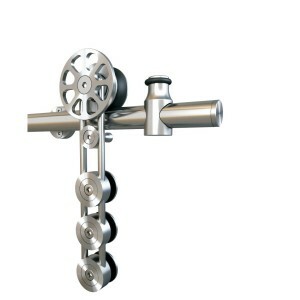 It has the flat and smooth track, which makes the system sliding well and quiet. 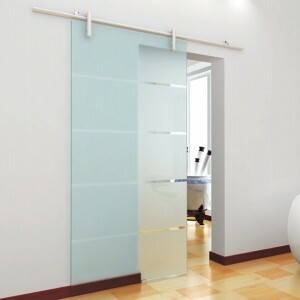 The hanging sliding door hardware is desgined for frameless glass door. 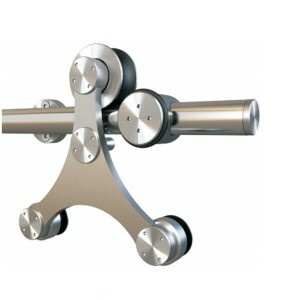 It is made by high quality aluminium alloy with brushed finish. 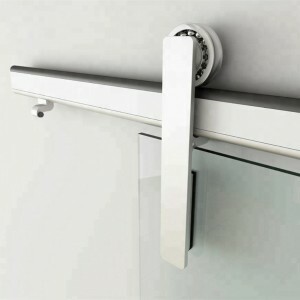 This glass door hardware has a modern beauty roller. 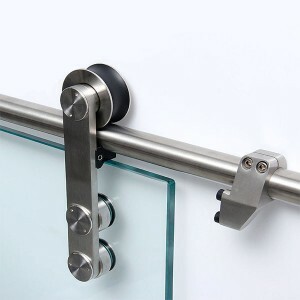 Because of the rollers the door is easy to open and close. 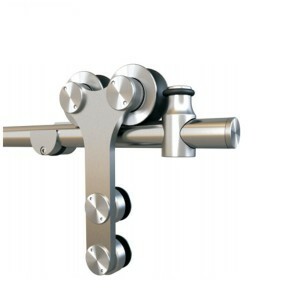 The whole system is made of high quality aluminum alloy, which is not easy to oxidize and lasts longer. 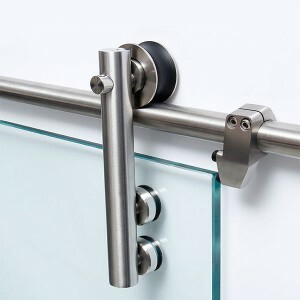 This sliding glass hardware has a modern look and makes the room appear larger. 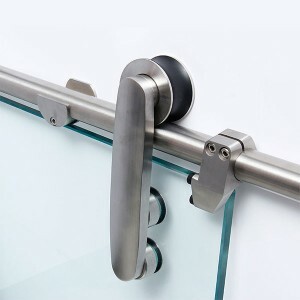 Because of the rails the door is easy to open and close. 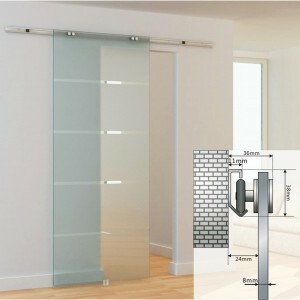 All other necessary hardware is included as you see in the pictures and the all the parts for one sliding door installing. 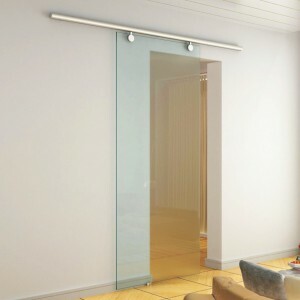 The sliding door kit is for use with single glass doors up to 80KGS. 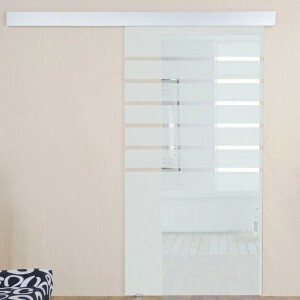 It can be used for sliding doors between rooms, wall openings or for entrances. 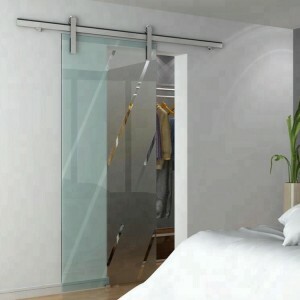 Each set includes all the main components needed to install a long lasting, smooth running sliding door. 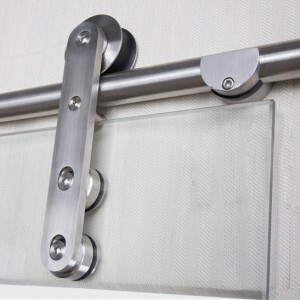 This sliding closet door hardware is made for frameless glass doors. It’s circle roller style can achieve smooth operation and a maximum load capacity of up to 80KGS. The whole system is both modern and practical. 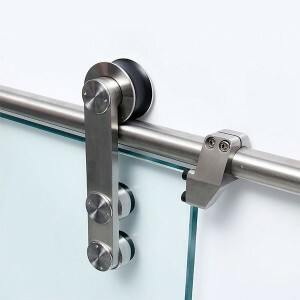 The sliding track system is for shower glass door. 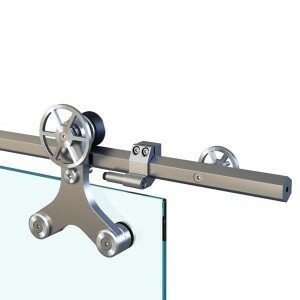 It can withstand 175KGS of glass, which is convenient to use and saves space.